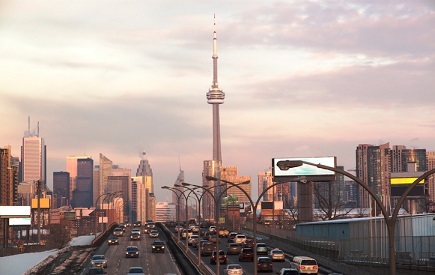 Toronto is notorious for its unhurried approach to approving developments, but if the 2019 Ontario budget is any indication, there may yet be hope. Some observers have noted that the budget does not address affordable housing, however, it appears that Doug Ford’s Progressive Conservative government is instead addressing the problem at its root: Escalating development charges and slow permitting. The Ontario Real Estate Association weighed in the government’s approach to raising housing supply. “OREA is pleased to see today’s budget commit the province to moving forward with its Housing Supply Action Plan this spring. Cutting red tape on development, reducing costs for homebuyers and speeding up the approvals process will increase housing supply across the province, creating more affordable choices for Ontario families and first-time homebuyers,” OREA’s CEO Tim Hudak said in a statement. With last week’s announcement that a new subway line will be built in Toronto, as-of-right zoning could very well come to fruition in the near future. Christopher Alexander, REMAX Integra’s vice president and regional director for Ontario-Atlantic Region, says that developers are often hamstrung by escalating costs in the interim period between when developments are proposed and built, and added that consumers bear the brunt of the cost. The previous Liberal government introduced a measure to succour faster development approvals, but Alexander noted that it never had enough time to execute it. However, with a fresh term, he believes Premier Ford’s government will. Still, Alexander was surprised to see that there was little in the budget by way of affordable housing, given that affordability in Toronto has reached critical levels, but he also acknowledges there’s little it can do as things stand.